ZIPPY Kids Adjustable Skate J7 - J13! The ZIPPY fits the youngest skaters – the one you’ve been waiting for! A FUN, Durable and Adjustable skate sizing adjusts from J7-J13! The ZIPPY is the adjustable children’s skate you’ve been waiting for! High quality nylon, heavy duty velcro, and strong aluminum alloy rivets are combined to make it super durable skate for the youngest skaters! The adjustable sizing system allows kids with shoe sizes ranging from J7 to J13 to have a safe, comfortable first-time skating experience. The Zippy skate also features "Learn to Skate" adjust-ability. 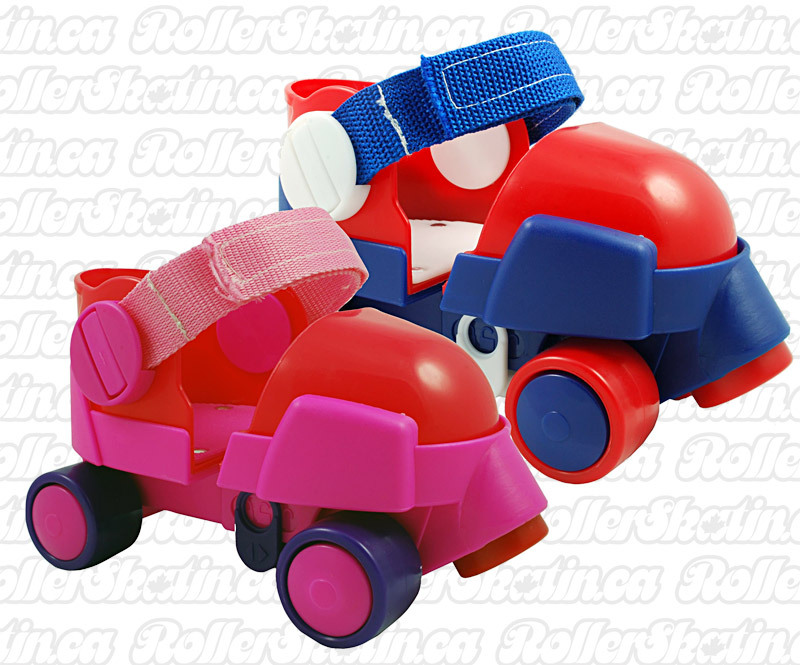 Start with the "lock" setting so beginners can walk in the skates with the front wheels locked. As confidence and ability increase, advance to the "open lock" setting, where the adjustment allows the front wheels to roll forward but not back. Then it's on to the "open lock" setting for some freewheeling fun!